Linda Diane Martin went to dance before the Lord Sunday, February 3rd, after a short illness. Her husband of 49 years Jim and son James were at her side along with son Cory and brother Jerry Ball and best friend Marcie Wall. Her husband Jim, son James and wife Sophie, son Cory and wife Janna and their children Lucas, Gabriel, McKay and Clara survive her. Also brothers Jerry and wife Paula and brother James also survive. Linda was born to James and Myrtle (Cox) Ball on February 2nd, 1945. Linda, founder of Martin’s School of Dance taught dance for 50+ years. Even though she didn’t begin her own dance training until age 14, she caught the preforming bug early in life. She believed she was born with it. As a child Linda put on backyard performances for friends and family and organized and directed parade around her neighborhood. Upon graduation from high school, Linda moved to Mississippi to attend a business college. That was not her cup of tea, she learned and her passion for dance was stronger that per passion for business. It was in Jackson, Mississippi that she began her formal training at the premier dance school, Jackson Ballet Guild. Rex Cooper and Albia Kavan, who danced with the American Ballet in New York, trained the budding ballerina. She slowly and patiently worked her way from the back of the line, with the beginners, to the front. Linda opened her first dance studio in 1967, in Jackson, Mississippi called “DixiLyn School of Dance”. She also taught in several other well-known studios throughout the south. 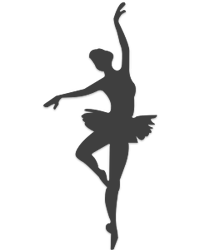 In the late 1970’s she returned to Sunnyside and opened Martin Academy of Dance and Gymnastics, she began teaching dance and gymnastic classes here for the next few years. In 1982, she decided to change locations again and returned to the South. There she continued to teach dance and gymnastics, opening her studio called “Dance Unlimited”. Fortunately for all the students her in the valley, she stuck with it. In 1988, after moving back to Sunnyside, the eager dance instructor opened “Martin’s School of Dance”. The dance studio has been a staple of Sunnyside ever since. The name of the studio may have changed as did her location occasional, but her love for the dance and the drive to teach, never changed. Linda has touched the lives of so many people that almost anyone you talk to in the valley has known someone who has taken dance from Linda Martin. Memorial service for our wonderful dance instructor and dear friend Linda Martin will be on Saturday, March 30, at 2:00 pm at Her dance studio, 1420 E Edison, Sunnyside. Please join us in celebrating her life and her talent. If you wish, please donate in her name to the dance school to help aspiring dancers in the valley. Drop it by the studio on March 30 or the mailing address is 633 Yakima Valley Highway PMB 219 Sunnyside, WA. 98944 Those wishing to sign Linda’s online memorial book may do so at www.funeralhomesmith.com Smith Funeral Home in care of arrangements.